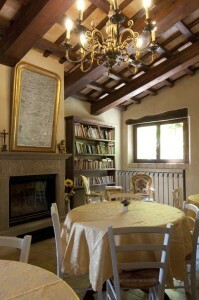 The church is part of an ancient building entirely renovated: there is possibility of accommodation with breakfast (on request it is possible to use the kitchen for a more independent stay). All rooms have private services, TV and air conditioning. Pets welcome. In the surroundings, within a 25 km distance, you can visit the evocative castles of Gradara, Montegridolfo, Montefiore Conca and San Leo; the ancient Republic of San Marino is easy distance : towns of artistic interest such as Urbino, Urbania, Sant’Angelo in Vado and towards Cagli the magnificent Furlo Pass. Mondaino is placed on a hill top at 420 metres, embraced by the blue colour of Romagna coast and the green of the Apennines. It offers an incredible harmony of art, culture, history, natural environment and artisanship. 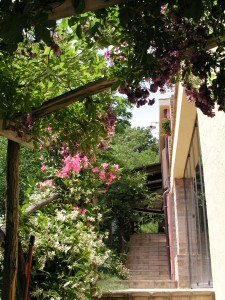 Typical products are: olive oil, wine, honey, “grotta cheese”, truffles.